Digital aesthetics on a visual level is often equated with the pixel, and any kind of pixelated structure. While on a first glance the pixel appears to be a working, appliable metaphor for »the digital«, a sketchy view reveals a few other possible candidates, I’ll draft here. 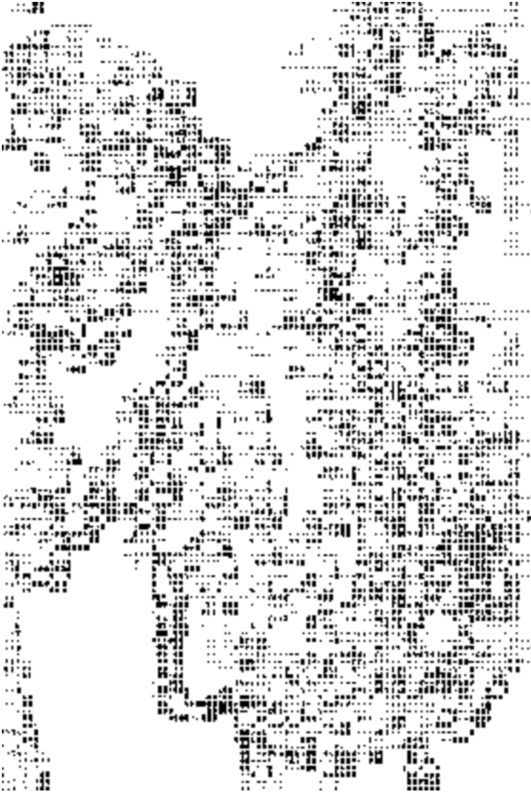 When talking about the digital, the notion of digital aesthetics refers to things created with computer, narrowing the digital realm down to the electronic computer. The notion of the digital allows to differentiate the digitized, distinguishable, separated and discreet and calculable from the notion of the analog, that is continuous and varying over time. The digital in contrast to the analogue continuity, is a sequence of discrete units. 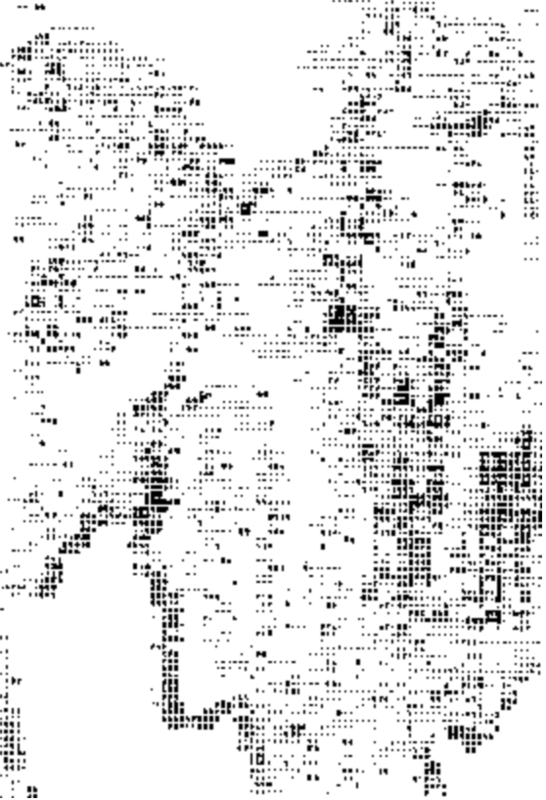 Looking into the history of output devices for digital calculation, diagrammatically organized rows and columns of blinking lights in early computers, such as the Zuse 3 or the UNIVAC, electromechanical printers, also diagrammatically organized through their monospaced fonts, or the tabular structure of the punch card have informed digital aesthetics even before the usage of pixelated cathode-ray-tube (CRT) monitors. While these output devices may have been used for artistic creation, to my knowledge these have been marginalities. Yet there are other devices that shaped very early digital aesthetics. 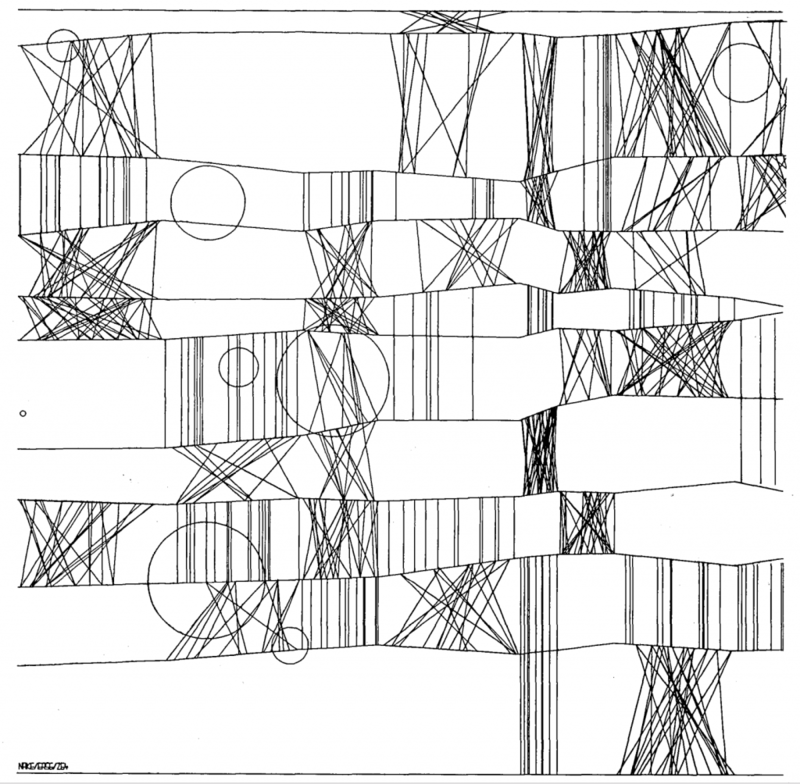 Mathematicians Georg Nees, as well as Frieder Nake both from the mid 1960s on used a plotter to generate vector graphics and named the genre »Generative Computer Art«. 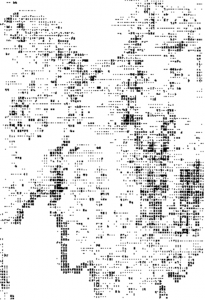 One early plotter was the Zuse Z64 Graphomat, reading data from a punched tape (which connects it to the above mentioned punched card). The plotter as a device draws points and lines (or vectors, or geographic coordinates), so the programmed print definitions consisted mainly of start and end points, which were to be connected by a line, and only to a small extend of points. Making a long argument short, the vector-oriented plotter was a digital output even before the pixel-oriented raster CRT monitor came into widespread use for computer graphics. The raster CRT monitor only appeared, when computers had enough capacity to actually calculate each pixel on a screen raster. Prior to that CRT monitors have been used with vector descriptions, which describe only the start and end point and possibly a third value for amplitude, saving scarce memory. In his Sketchpad dissertation 1963, Ivan Sutherland notes that 1 point needs 20 bit to be described on the MIT Lincoln Laboratory TX-2 computer CRT display, and that points, lines and circles (or the parts of circles) can be drawn on screen. 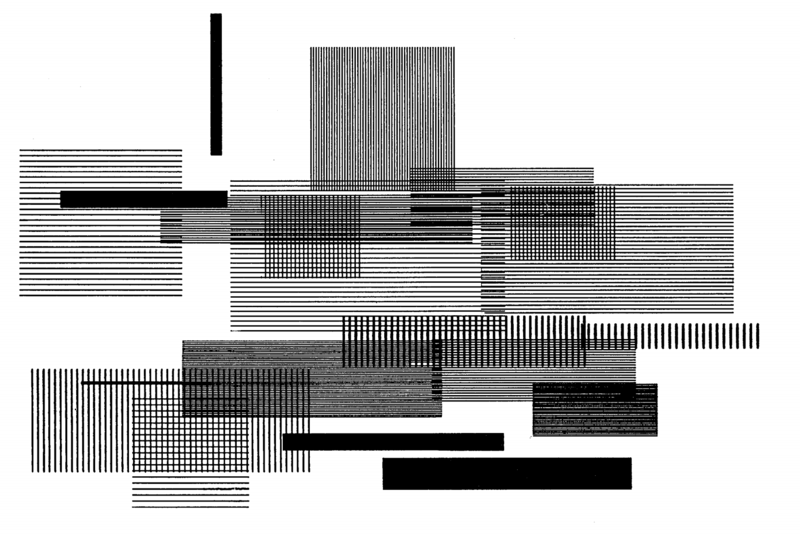 So the aesthetics of the line dominated early digital aesthetics up to the mid 1980s [cf. 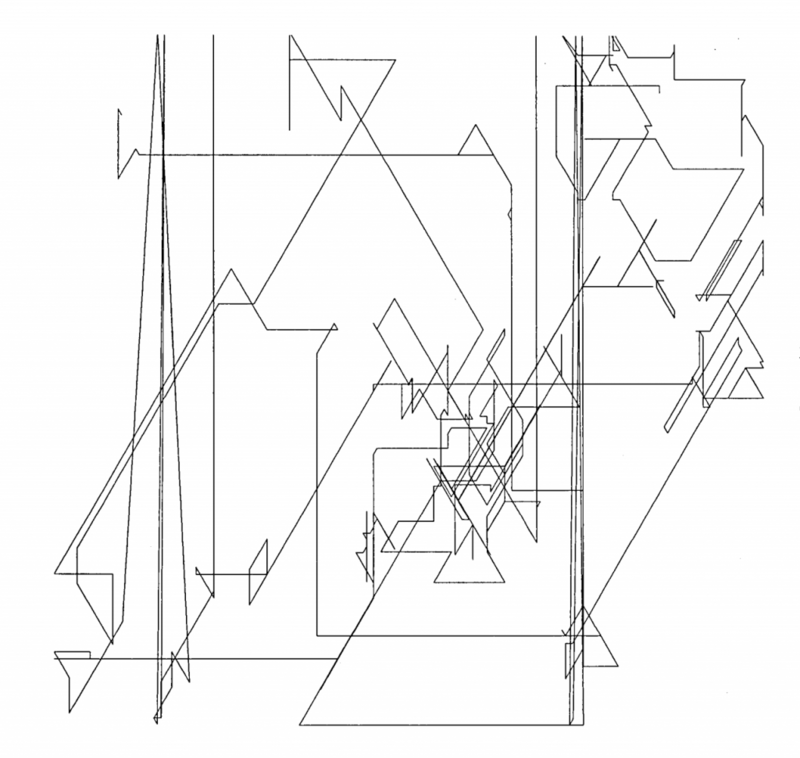 Blobel/Schneider/Wegener: Prints & Plots: Computerkunst ’86. Gladbeck, 1986]. 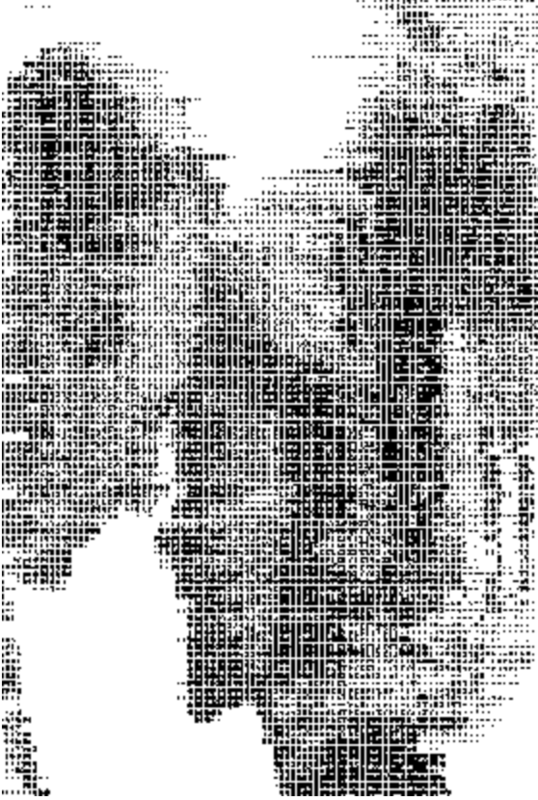 However, it would be to narrowing, to portrait the pixel as a mode of indexicality and realism only. 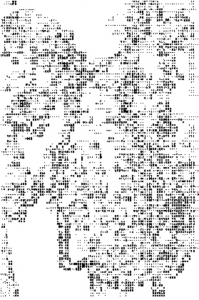 The pixel-oriented display or matrix-printer allowed for the usage of generative vectors as well, only that before being displayed they had to be re-calculated into pixels. 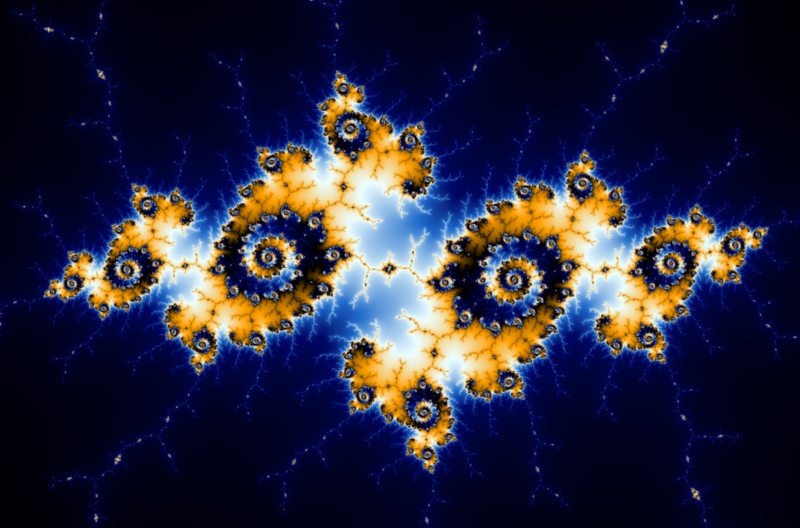 Some time later, in the mid-1980s color CRT displays opened up new ways of generative art, maybe best portrayed through the iterative fractal graphics hype of the late 1980s [https://en.wikipedia.org/wiki/Fractal-generating_software].